Funko has been doing an tremendous job creating new Pop! vinyl figures based on characters from the Star Wars films, and now they're finally venturing into the animated realm. At Star Wars Celebration Europe earlier this year we got our first look at the Ahsoka Tano Pop!, and today another character from Star Wars Rebels was unveiled. 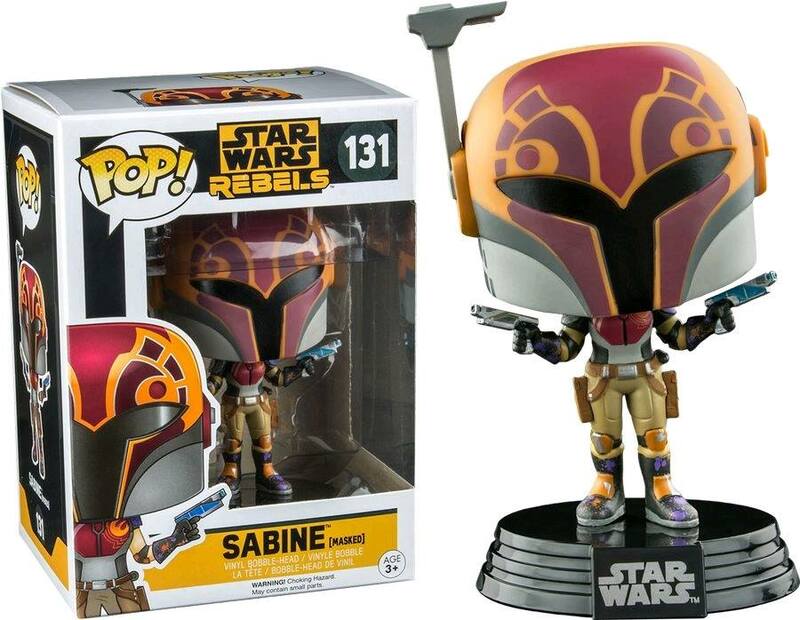 Yakface is reporting that a photo of the upcoming Sabine Wren Pop! figure surfaced in a Facebook group. The figure(seen above) appears to be adorned with Sabine's season two color scheme and wields two Mandalorian Blasters. This Pop! will reportedly be a Walgreens exclusive and is due for release sometime next month!